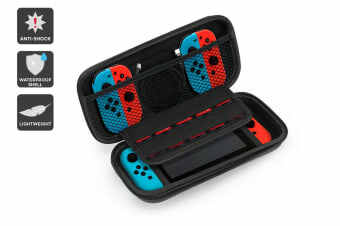 Snug protection for your Switch on-the-go! 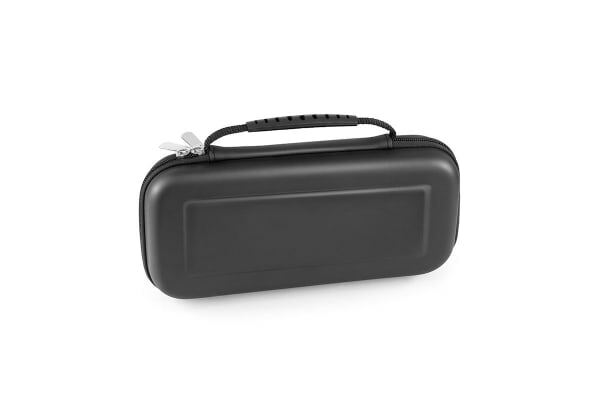 Get heavy-duty protection for your Nintendo Switch with this ultra durable, shock absorbent hard shell and waterproof carry case. 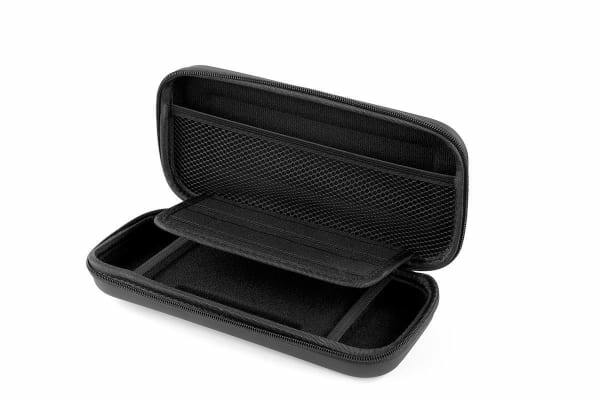 Built with a premium EVA material and an ultra snug, soft inner lining, the Nintendo Switch Carry Case delivers superior protection for your Nintendo Switch and games. The two elastic straps keeps your Switch secure in transit with the joy-cons attached, while the cushioned flap cushions the screen to help prevent scratches and protect against impact from accidental drops. The cartridge slips keeps up to ten games organised and the spacious mesh pocket lets you store your accessories, such as batteries, cables, up to two extra joy-cons and ear buds.